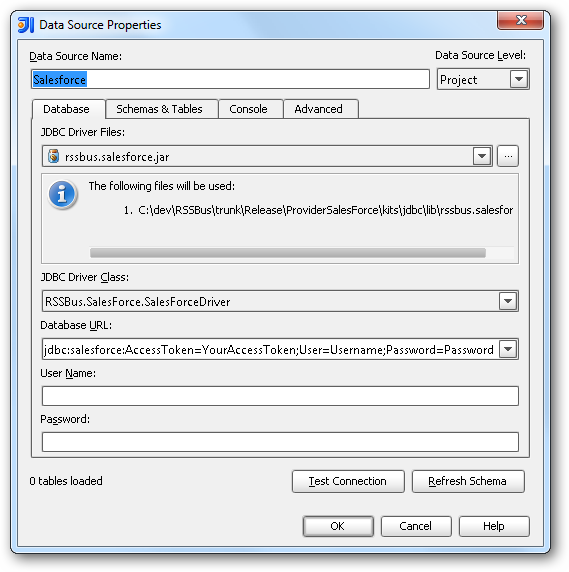 The CData JDBC Driver for Salesforce enables you to access Salesforce as a JDBC data source, providing integration with rapid development tools in IDEs. This article shows how to use the data source configuration wizard to connect to Salesforce data in IntelliJ. Follow the steps below to add the driver JAR and define connection properties required to connect to Salesforce. 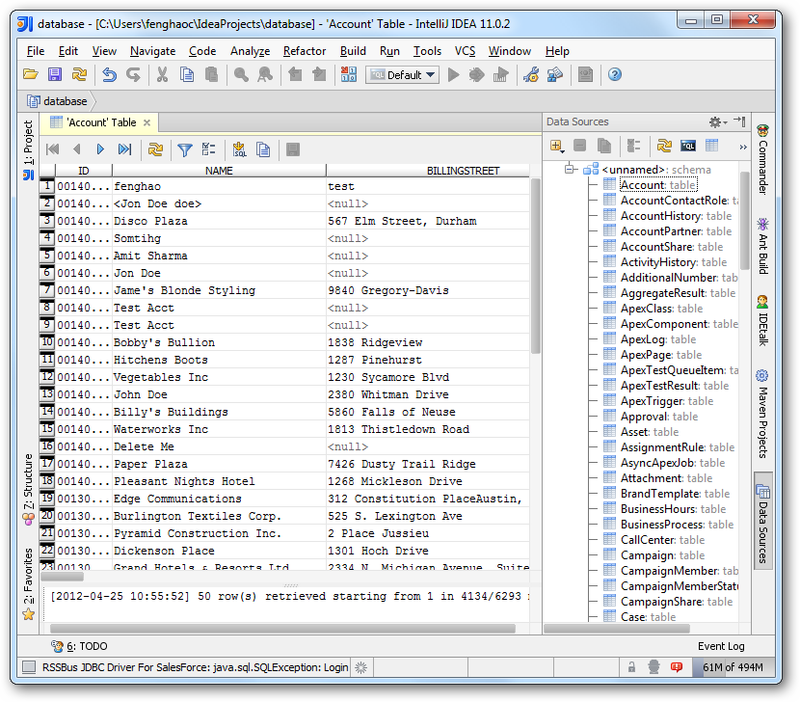 In the Data Sources window, right-click and then click Add Data Source -> DB Data Source. JDBC Driver Files: Click the button next to this menu to add the JDBC Driver file cdata.jdbc.salesforce.jar, located in the installation directory. JDBC Driver Class: In this menu, select cdata.jdbc.salesforce.SalesforceDriver from the list. To discover schema information, right-click the data source you just created and click Refresh Tables. To query a table, right-click it and then click Open Tables Editor. You can also insert, update, or delete records in the Table Editor.